As far as I’m concerned, Clark Kent still wears a hat in the comics, whether they draw him in one or not. So we finally get some answers in Action #975 as to the nature of the Other Clark Kent, with the revelation done in such a way as to provide a nice anniversary issue-style showcase of some of Superman’s other adversaries over the years. 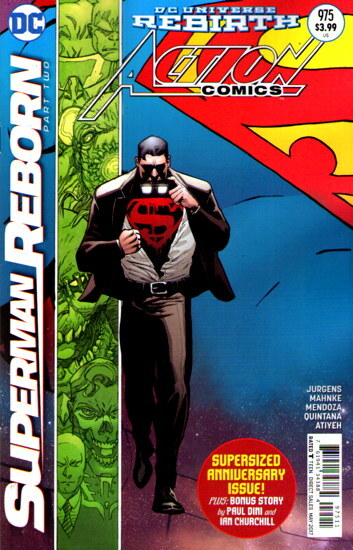 They’ve done such a good job keeping this mystery going, and keeping in compelling, that I’m a tad a’feared that momentum will be lost once this plotline is wrapped up, much in the same way the Super-books meandered a bit after the roller coaster ride of the “Death and Return of Superman” storyline. Not that the Mystery of the Extra Clark was so overwhelming a thing that it took over the comics like Superman’s death did, but it was a great hook that kept people talking and wondering. 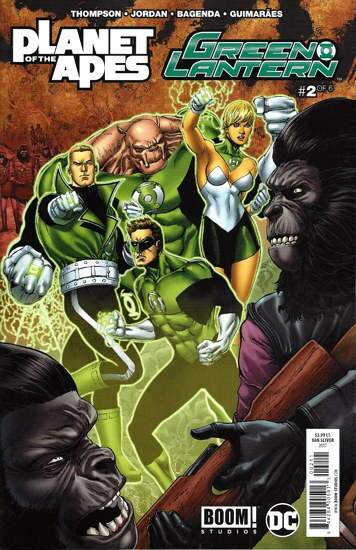 I’ve noted once or twice that I was hoping the resolution to the mystery did not involve the larger metaplot of the Watchmen incursion into the DC Universe…and, well, it might still, sorta, depending on who this Mr. Oz is that’s been turning up in the books. And it seems to be tied to all the multiverse-rejiggering that’s going on, but I’m glad the revelation involved the character it involved, and it wasn’t all Clark whipping off the fedora and declaring “ah HA, it is I, Dr. Manhattan!” That might have tied into the larger DC Universe activity, sure, but would have felt like a cheat. This was an odd comic. Written by R.L. Stine, best known for the Goosebumps series of horror novels for young folks, it takes a tongue-in-cheek-ish approach to Marvel’s swamp monster as he tries in vain to get his movie career going. It’s actually a fun read, even though a talking Man-Thing, with the mind of Ted Sallis now fully functioning within, still takes me getting some used to. 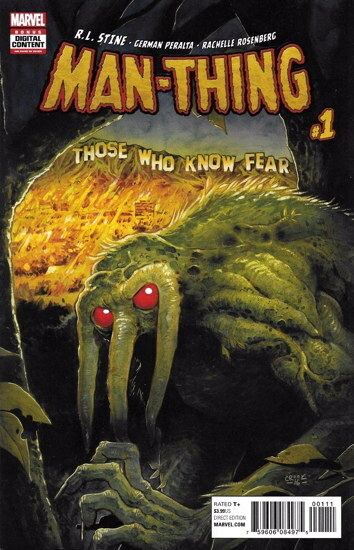 I know, I know, none of this is in regular Marvel continuity, I suspect, so I should just go with it, but I’m just used to there being more of a line between the kind of swamp creature Swamp Thing was (human trapped in a monstrous body trying to find a cure) and the kind Man-Thing was (mindless monster with practically no memory of the human it used to be). But that’s my problem, not yours. It’s certainly a different direction for the character, and I’m perfectly okay to see where it goes. 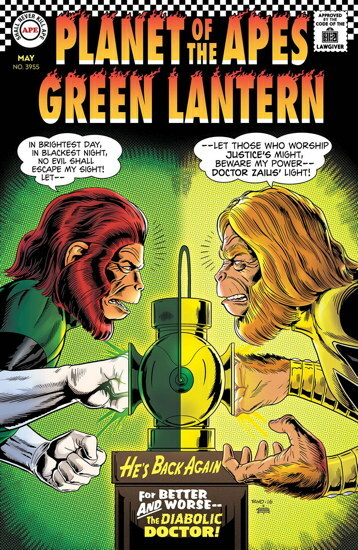 Mostly, I’m just glad that we’re 56 issues into this reprint series, and it’s still going. The series is nearing the end of the Dell Comics run (with #65), and I’m hoping it continues into the Gold Key era (even though some of those are 80-pagers). 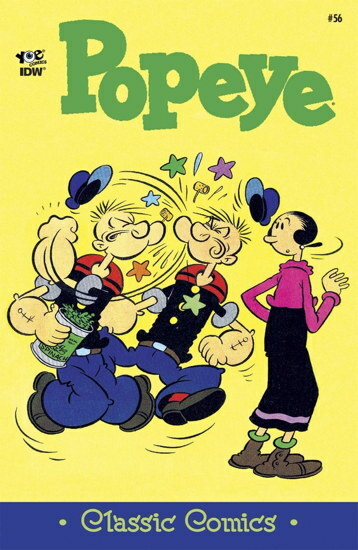 Ideally, I’d love to have them reprint all the way through the 1970s Charlton Comics Popeye by George Wildman, though that’s probably unlikely. I’m guessing the emphasis is on getting all of Bud Sagendorf’s Popeye work back into print, which would include some of the Gold Key books, so maybe those will get printed after all! At the very least (and I know I’ve said this before) I’ve love to have a new printing of this cover. Holy cow! That #66 Gold Key Popeye cover is gorgeous! I’ve never seens that before!